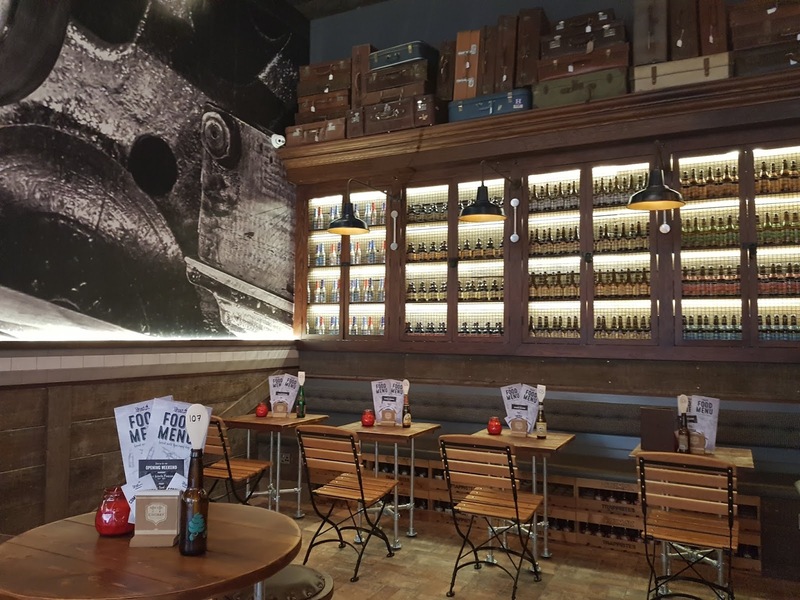 We were kindly invited along to The Head of Steam in Birmingham on Wednesday night for their press launch night. 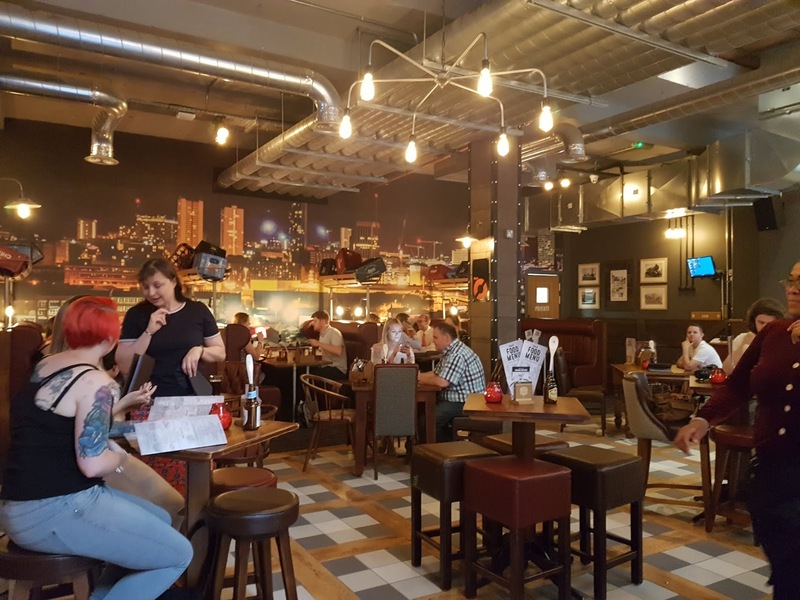 Located on Temple Street it's in a fab central location, just up the road from the local transport links and around the corner from The Bullring, Selfridges and Grand Central. The Head of Steam has a very impressive drinks menu, there's pages and pages of beers from all around the world, cask ales, cocktails, ciders, spirits and soft drinks. I worked my way through the cocktails, they were lovely. I had the Cherry Lollipop which is a mix of Disaronno, Midori, Lime and Cranberry, it was super sweet and fruity, it was amazing. I've never had Disaronno in a cocktail before but it's one of my favourite spirits. 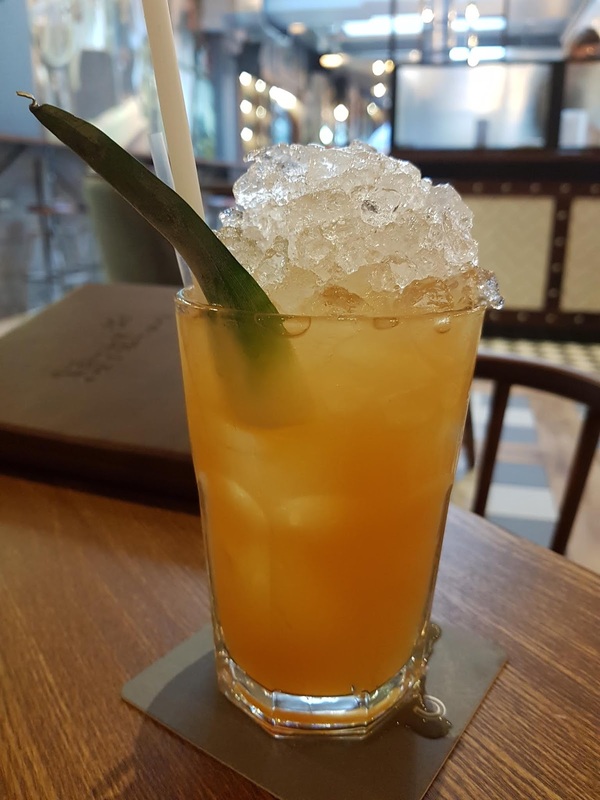 I also had a Louisiana Rum Punch which is a mix of Old J Cherry rum, blue curacao, passionfruit puree, pineapple and lemon juice, it was so fresh and summery, it reminded me of holiday. I think the cocktail prices are really reasonable and I think they were quite strong which is always good in cocktails. As I mentioned above they had a huge book of drinks so if cocktails are not for you they have a huge range of other drinks. 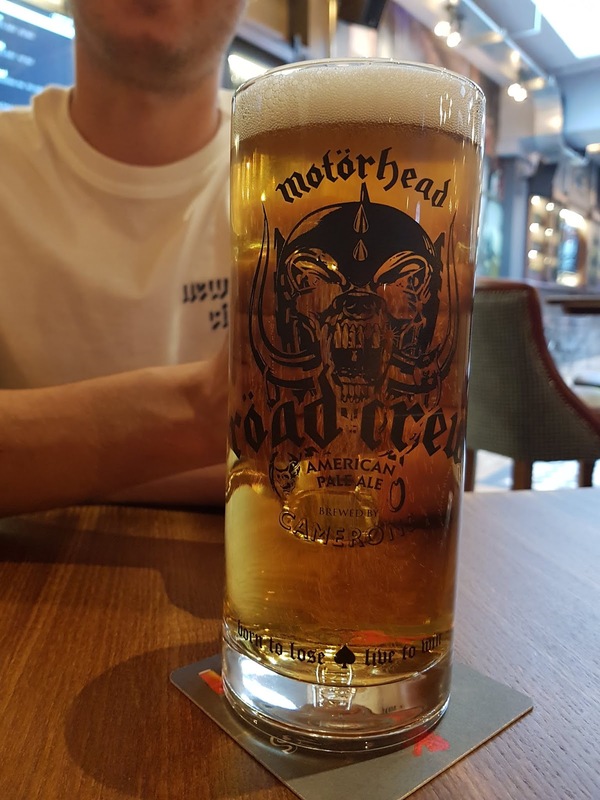 Clint was actually spoilt for choice and didn't know what to go for so he just asked for an American beer, he was given Motorhead Road Crew which is a pale ale and he said it was good, and tasted a bit like a light beer and he really enjoyed it. They have a really good variety on the food menu, as well as the main food menu they do Breakfast and Brunch which is served till 3pm, I don't know of many places that serve breakfast that late, it's usually around 12pm but I love breakfast food and loveee brunch so i'm always drawn to places that serve a late brunch. They also offer a selection of sandwiches, wraps and light bites, perfect for lunchtime or early dinner. They also do Pizza's, burgers, hot dogs, pies and much more. I had the BBQ pulled pork stone baked artisan pizza which was gorgeous, i'd say Pizza is up there as one of my favourite foods. The pulled pork was really tasty and the base was lovely, the sauce was very tomato-ey and fresh. 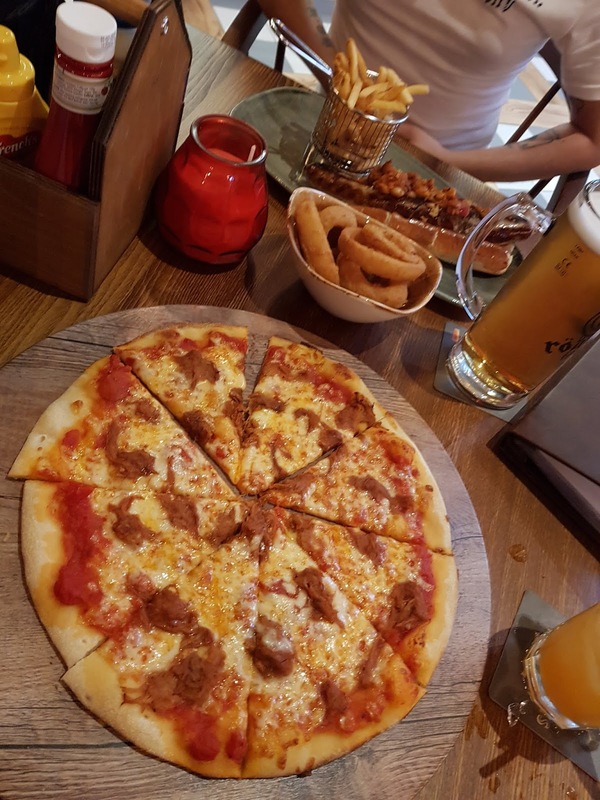 The pizza was a really good size, we shared some onion rings and could'nt finish it, I left a slice of pizza as I was stuffed!! 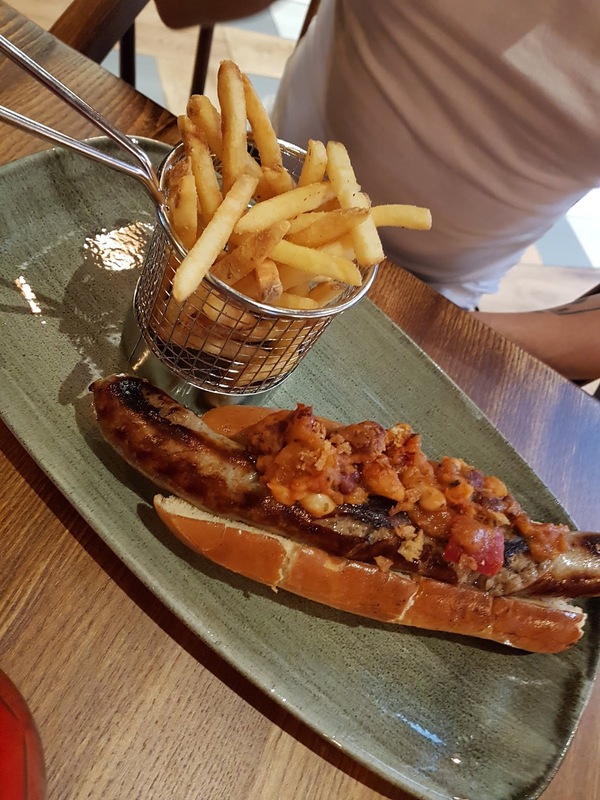 Clint had the 12" Chilli Dog which was topped with a 3 bean chilli, it was a really good size and it looked great and came with fries so again was a really good portion size. I have a sweet tooth and there was a few things on the dessert menu that tickled my taste-buds so we got the Trio Sharing board and picked the Salted Caramel and Chocolate Torte, Strawberry and Rhubarb cheesecake and the Profiteroles with Butterscotch Syrup. We expected them to be smaller portions of the puddings but they were full size, it was huge so it's such a good value for money, you basically get a dessert free. The Torte was a little bit rich for me so I only had a little bit but it was really good, my favourite pudding was the cheesecake, it was really light and fluffy. I wasn't too sure about the Rhubarb but it was lovely very fresh and not overpowering at all. The Profiteroles were soo good, the cream was really fresh and light, they were lovely and it was unusual to have them with butterscotch but it was really nice. Overall we had a lovely time, the venue is gorgeous very clean and looks really impressive! There's lots of different areas so you can go for just drinks or go along for a whole meal. It would be a great place to go as a group. You order at the bar and this works well when there's a group as you can just go and order and pay for your own. The staff were incredible, we had the best time! Every member of staff were lovely and couldn't have done more for us, they made sure we always had drinks and even when we asked for a little break before we ordered puddings they were happy to leave us to it. It's dog friendly and child-friendly so don't let that put you off. It had a really good vibe and atmosphere and we will definitely go back and we will bring Amelia along with us. They had baby changing facilities and highchairs so it's baby friendly. 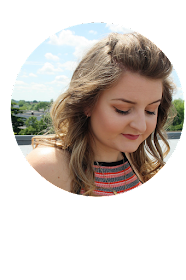 We both had a lovely night and it was nice to have a night off, have a drink and a catch up and it was such a lovely launch event, we had a fab time. 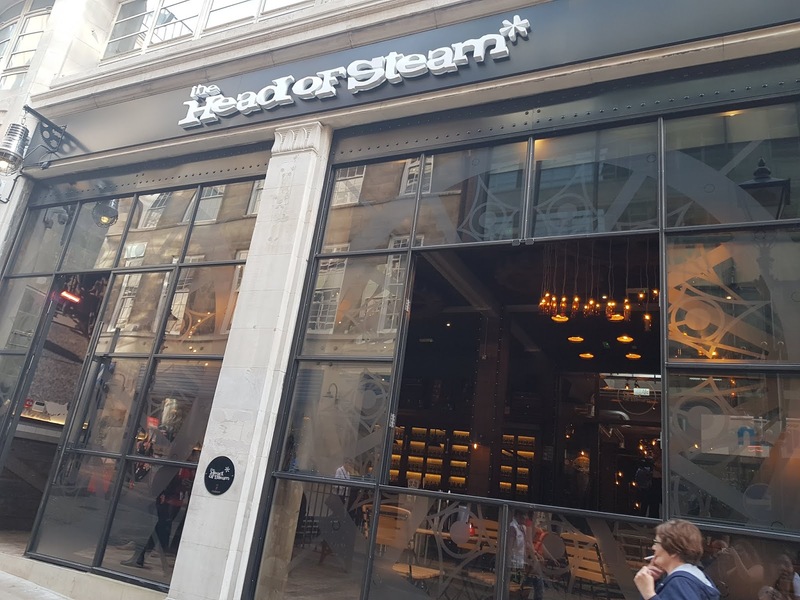 Thank you to Head of Steam for having us. * All of our food and drinks were complementary, I have not been paid for this review and it's honest and my opinions.